My most recent work in painting class!! 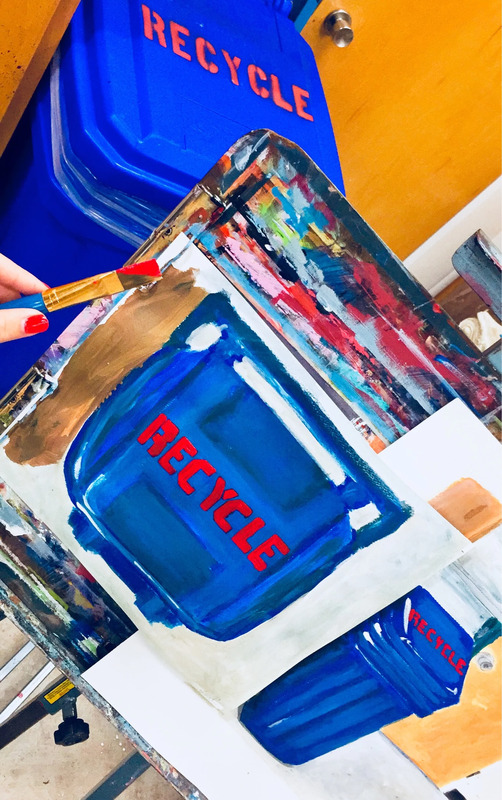 Painted this Recycle bin from two different angles. Love color combination. Today I feel amazing. I’m done with all the tests for this week. The math actually felt okey. I am playing my best tennis ever. I wish my father was here and saw me and played with me. Not that I play for him, I only play for myself, but I would’ve loved analyzing my game after a match with him. He would’ve enjoyed seeing this high level tennis (if I may say so myself). Buuuut he’s home in Sweden with the rest of the family. Tomorrow is our first tournament of the fall, our only tournament at home. I am so excited. We’ll play 3 singles and 3 doubles over Saturday and Friday. I have nothing to complain about at the moment, I am so thankful for this life. I love it!! !